prerequisite: transfer student with 100 or more hours. We recommend ordering the Past Life Regression Hypnotherapy course with this course for a complete grasp of Transpersonal Hypnotherapy. Transfer Students: If you are a graduate of another school and have a solid background in hypnosis, you can now learn Transpersonal Hypnotherapy and transpersonal approaches to smoking cessation and weight management. This course includes techniques found in the 150 hour Transpersonal Hypnotherapy training: Problem Solving Strategies and Releasing Parents: A Rite of Passage (3 audios); Two-Way Communication (1 video); Retrieval Work (1 video); Circle Integration Process (1 video); Transpersonal approaches to Smoking Cessation (1 video); and Weight Management Lecture and Demonstration (1 video). This course also includes the material found in the Weight Issues Graduate Course (3 videos). Learn how to access a client’s true essence in Weight Management Demonstration. Learn how to work with eating disorders in the 2 Abreaction Reframing Demonstration videos. 50 hours of demonstrations, exercises, readings and practical applications. Up to 16 hours of step-by-step training on 8 professionally produced DVDs. 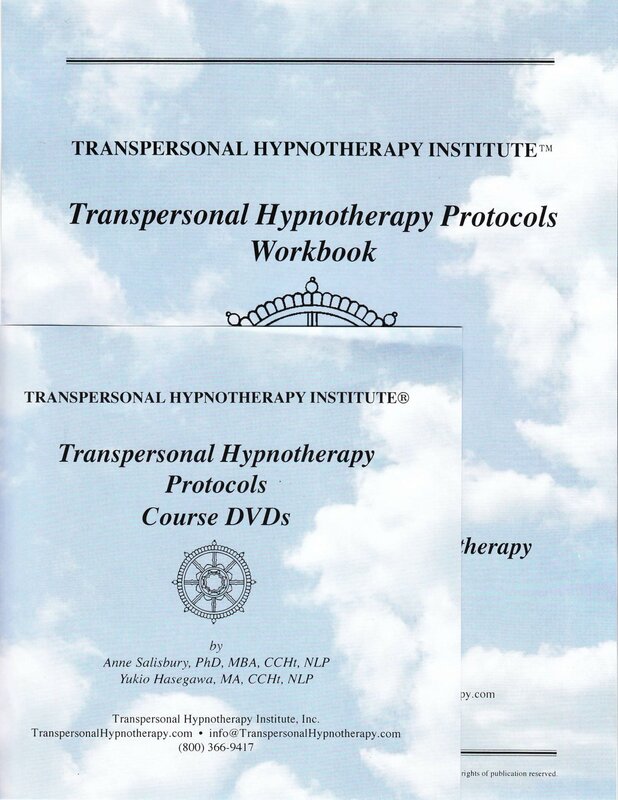 The “Transpersonal Hypnotherapy Protocols” certificate of completion suitable for framing. The professional title of “Transpersonal Hypnotherapist” which can be used in your promotional materials. Smoking Cessation Lecture and Demonstration: Smoking Issues, Smoking Demonstration, Debrief of Demo. Weight Management Lecture and Demonstration: Introductory Consultation, Weight Demonstration, Debrief of Demo. Weight Issues 1 of 3: Weight Management Demonstration (Accessing Essential Aspects through Retrieval Work). Weight Issues 2 of 3: Eating Disorders Demonstration #1 (Abreaction Reframing utilizing Ideo-Motor Signals for Weight Issues). Weight Issues 3 of 3: Eating Disorders Demonstration #2 (Abreaction Reframing & Breathwork). Releasing Parents: A Rite of Passage.